It’s been a rough go for Maple Leafs Sports and Entertainment over the past calendar year. From Tim Leiweke’s announcement that he’ll be leaving his post to the flurry of Maple Leafs jerseys hitting the ice, it hasn’t been an uplifting 12 months for the owners of three of Toronto’s biggest sports teams. And on Sunday, MLSE was handed an additional issue to deal with. In the wake of another loss for Toronto FC, fans of the soccer team interrupted a live CityNews broadcast with the, now infamous and vulgar, FHRITP call. While the reporter, Shauna Hunt, took social media by storm when she shot back by questioning the individuals, MLSE decided to do their part in trying to break the trend of sexually explicit remarks. On Tuesday, the soccer club’s ownership group announced that they would identify and ban the individuals who decided it was okay to taunt Hunt and other women with the crude remarks. 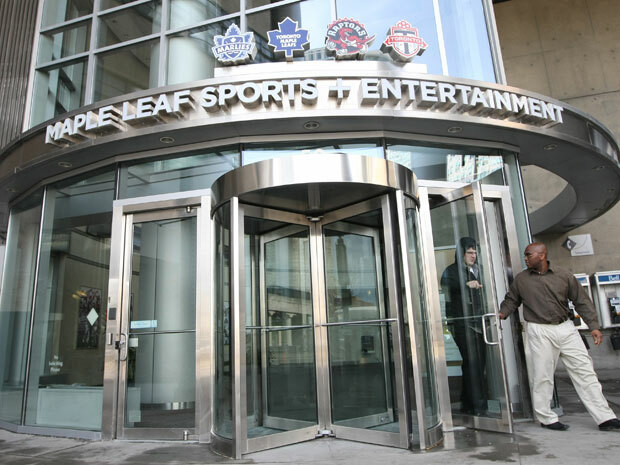 In a statement by the parent company, MLSE announced that there would be further security for female reporters covering events and that – if identified – the individuals would be banned from all MLSE venues for an undecided period of time. Now, that’s a great attempt at deterring people from including themselves in this act that clearly lacks in judgement. But what exactly does this mean for other individuals standing in the path that is MLSE? To me, it’s a warning shot – fired by a company tired of witnessing delinquent acts at team events. For those who decided to protest the play of the Toronto Maple Leafs this past season by tossing their jerseys onto the ice, take note. While it’s not comparable on a social level to what happened outside of BMO Field on Sunday, it does fall into the category of ongoing issues for the Maple Leafs ownership. And it’s one that they certainly won’t take lightly from now on. On a safety level, jersey throwing has the potential to cause injuries to players while the game is going on. The crude remarks (made by the FC fans) are detrimental in a way that they are degrading, emotional abusive and used to sexually harass female reporters. But the two incidents – while seemingly far apart on their sociological effects – do have a similarity. They alter the in-game experience for fans, and families, there to enjoy the sporting event they paid for. So, take this as a warning Toronto sports fans. Anybody looking to make a statement of any kind at any game involving the Raptors, Maple Leafs or Toronto FC should rethink their approach for 2015-16. There are ways to make yourself heard without disrespecting and disregarding rules and social regulations. If you choose otherwise, MLSE just might have something to say about it.